Alex Scott has retired from international football after earning 140 caps, enjoying a long and glittering career since making her debut against Netherlands in 2004. Among her Lionesses highlights, Scott won silver at the 2009 UEFA Women’s Euros and bronze at the 2015 FIFA Women’s World Cup. She has played at three World Cup finals and four Euros finals. Scott, who is the second most-capped England player in history, also represented Team GB at the 2012 London Olympics. She scored 12 international goals during her career. 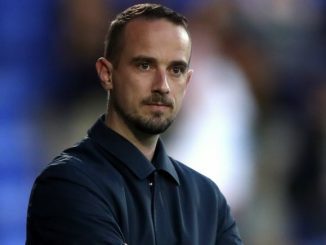 Scott told thefa.com: “Today is the end of a chapter as I turn the lights out on my England career. This decision has not come lightly, but sometimes the right choice is the one that involves some sacrifice. “My dream as a little girl playing in that football cage in the east end of London was to one day pull on the Three Lions shirt and represent my country. I am so proud and humbled that I managed to do just that. “To every single one of my England coaches and all the backroom staff, the team behind the team, who never get the credit they deserve, you have all played a part in helping me grow into the person I am today. Thank you. “To my team-mates, every single one of you… where do I even begin? I have been so fortunate to be surrounded by dreamers, believers, thinkers, and doers. I feel blessed to have shared my journey with you, and you are all inspirational women who kept a smile on my face during the past 13 years. I cannot thank you enough. 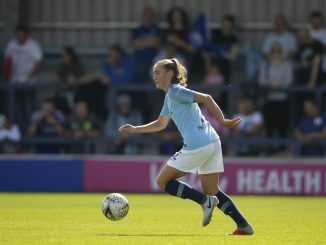 England head coach Mark Sampson said: “Alex has established herself as one of the greatest players to ever wear the England shirt, a jersey she graced on 140 occasions. “Alex has given women’s football fans all over the world so many great memories with her performances for England. Her talent and work ethic are the qualities anyone who has had the pleasure to watch her play will remember. “It is very sad day for England’s players, staff and supporters. Those of us who have had the pleasure to get to know Alex will remember her kindness, humility and enthusiasm. FA chief executive Martin Glenn said: “I would like to congratulate Alex on a remarkable England career. “I have always admired the level of dedication and service she has given to the England Women’s team. I know she was truly proud to wear the England shirt. 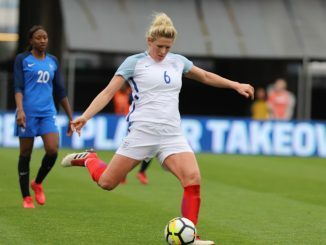 Kelly Simmons, FA director of football participation and development, added: “Alex is a fantastic ambassador for England and the wider women’s game both on and off the pitch. “She is an incredibly talented and hard-working footballer. No doubt the women’s game is in a very different place to when she started playing and Alex has played a big role in that. She has always been committed to helping grow the game and has inspired many young girls to kick a ball or watch a game. Scott will continue to play domestic football with Arsenal, where she is club captain, and they kick-off their FA WSL 1 campaign on Sunday 24 September.